This post will be talking about Game of Thrones, HBO’s excellent fantasy series. We’re only weeks away from Season Six starting up, so if you’re not caught up, please stop reading and start binge-ing the episodes. I don’t want to spoil you. I know spoilers make people cranky. Season 5 initiated a variety of changes in the political landscape of Westeros. In King’s Landing, the religiously-minded Faith Militant effectively captured the seat of power, controlling the urban areas outside the Red Keep and being able to defy the will of the Lannister regime. In the North, the equally defiant Roose Bolton essentially broke ties with the Lannisters by marrying the fugitive Sansa Stark (arguably the Queen in the North) to his son Ramsay, in a move to legitimize his control of the North and start a Flayed Man dynasty. But also in the North, there’s a large group of people who might be able to influence what’s going on in the realm. The Wildlings. At the end of last season, Lord Commander Jon Snow used his executive privilege to grant asylum to thousands of Wildlings. This group was comprised of the remnants of Mance Rayder’s foiled migration and refugees from the disastrous evacuation at Hardhome. Their support among the Night’s Watch has certainly lessened now that Jon Snow was the victim of a mutiny. The northern peoples of Westeros have no love for the Wildlings, and would probably not consider their presence south of the Wall as a benefit. Winter is coming. The Wildlings need to obtain shelter and sustenance. The Others are on the march north of the Wall, but we can cross that bridge when they make a ladder of undead bodies to go over that barrier. Fortunately for the Wildlings, they have generations of cold weather survival experience. Should they need to quickly get out of the cold, there’s over a dozen unpopulated castles built into the Wall, available for squatting in. The Night’s Watch might not like that, but there’s little they can do about it with their anemic manpower numbers. So shelter is available or can be constructed, but food will need to be obtained. 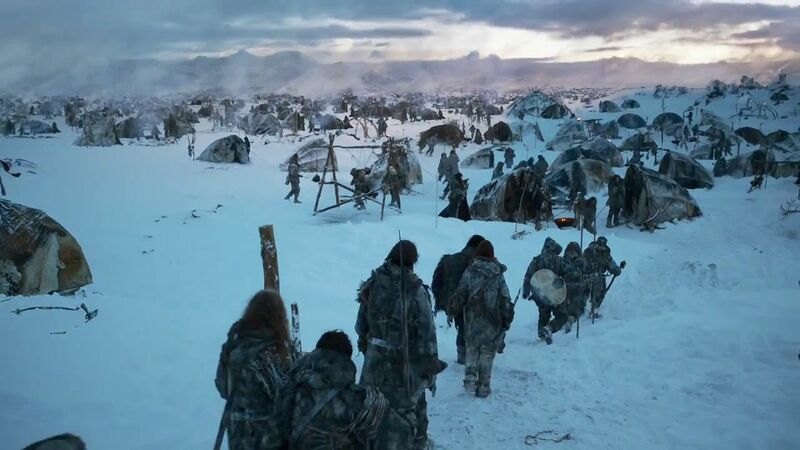 Presumably, hunting will be no worse south of the Wall than north, but I don’t know if I can guarantee that will suffice, if the various clans depended on known migration routes of herds, which have all been left behind. So the two available options are to raid or to accept aid from the northern Westeros people. These two options aren’t mutually exclusive. Although the northern houses harbor no love for the Free Folk, they might have less love for the Boltons who betrayed the traditional lords of Winterfell and usurped leadership with the support of enemy southerners. The major problem for the rebellious North: most of the first responder fighting forces who marched south with Robb Stark, died at the Twins. The two major houses with substantial troop strengths are the Boltons and the Karstarks. The Karstarks abandoned Robb Stark, if you recall. If the weakened but Stark-supporting houses could extend hospitality to the Wildlings, the Free Folk might make an interesting auxiliary force to resist the Boltons. Wintertime makes things difficult for large troop actions, but bands of Wildling guerilla fighters might be able to operate to the detriment of Bolton operations and provide plausible deniability to the Umbers or Hornwoods or whomever works with them secretly while publicly disavowing Wildling associations. The problem with this scenario: the people most likely to benefit from thousands of hungry Wildlings would be the Boltons. Stannis Baratheon routed the Wildlings migration and attempted to burn alive their king, Mance Rayder. There probably aren’t many Stannis fans among the Free Folk. And who gave Stannis his come-uppance? Ramsay Bolton. Based on the Wildlings reputation, the Boltons preference for flaying might be considered banal, and not a practice that would make the Wildlings uncomfortable in their allies. Roose Bolton might acknowledge that it would be hard to fight Wildlings and deal with the possibility of insurrection among his unhappy vassals. He might conclude that Wildlings on his side might solve both situations. The Free Folk might become the threat Alliser Thorne feared they would be, but with Bolton authority. I should be careful in my analysis and not over-simplify things. The Free Folk are not a unified people with a consistent agenda. They’re a collection of groups and sub-cultures who don’t necessarily get along. The threat of the Others and Mance’s leadership got them to the Wall as a focused group, but now they are in the south with the Wall between them and the White Walkers. And Mance is dead. 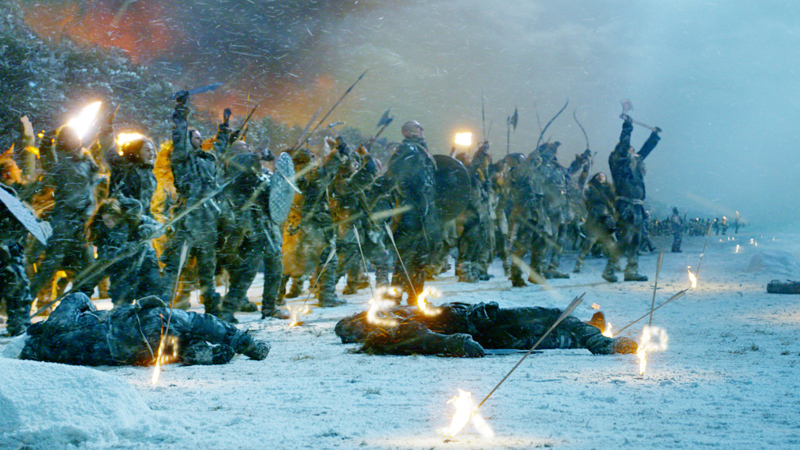 Some Wildlings might agree to work with the Boltons, some might agree to fight against the Flayed Men. Some might slip into the shadows and prey on any available target. The show has pretty much caught up to the books in regards to the Free Folk, so really anything could happen and it would be new to smug book readers like me. And because of the volatile situation in the North and the unpredictable wild nature of the Wildlings, anything and everything might just happen. I’m hoping of course, since we kind of started to like the Wildlings (I guess) that they’d up on supporting a righteous cause. But hopes are dangerous in Game of Thrones. 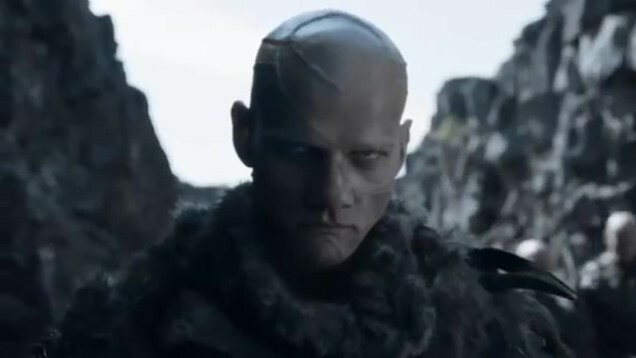 Do we have any clues from the trailers, about the Wildlings? It certainly seems like a Bolton shield-wall on the left squaring off against a less-disciplined group on the right. My guess is that’s a collection of Wildlings, but I’m not convinced this is a battle, yet. In the trailer, the hard-to-identify guys on the right aren’t rushing in, and the Boltons are kind of encroaching-in in an intimidating way, like both sides are flexing their muscles. This might be the prelude to negotiations where Warden of the North Roose Bolton recruits a bunch of Free Folk. So, if anyone is interested in sharing their opinion, what’s the likely scenario this season with the Wildlings? I know what we might want to have happen, but what do we think will happen? I think the Wildlings mostly will do what’s in their best interests, which is good because that means they will side with the Westerosi against the Others and Walkers. They aren’t disciplined but they have numbers AND experience with the Others/Walkers and if they’re given some decent weapons and armor they’ll do all right. The Wildilings will also do what they WANT, which is raid and visit about a thousand years’ worth of pent-up frustrations on the North, OR on their neighbors who they’ve hated more than southerners for five hundred years. From a writerly standpoint, It’s all so awesome a set-up because there’s this huge avalanche of evil heading down from the North. In its path are Bran’s Gift (or whatever it was called) and the fractious north, all fighting amongst themselves and losing their sh*t at each other over nothing. GOD I can’t wait to see how it all plays out! I am so excited and I still can’t read your excellent posts until I have watched the series. 🙂 You’re very kind to comment, regardless. Thank you so much. I hope you and yours (husbands, cats, bluebonnet flowers, etc.) have a great, great weekend. I only have one husband, although I would be happy to consider one more. LOL! Have a good weekend, too. Ooops, I don’t even know how the pluralizing of husband happened. I was probably thinking of Khal Drogo too. I think several different things will happen. Some will decide “Hmm maybe this Bolton fellow ain’t so bad” and decide to join him. Some will decide “Hmm that Bolton fellow is definitely bad” and decide to fight him. 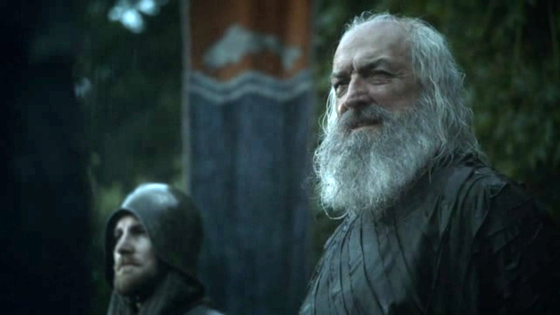 Some will decide “We’re finally south of that damn wall, now it’s time to get lootin’!” All the groups of Wildlings most likely wanted something different and getting south of the wall was probably the only thing Mance Rayder could have gotten them to agree on. Now that they’re getting South of the Wall and Mance Rayder is dead, Some of them will think they really have no reason to work together anymore. This means they’ll decide to get back to hatin’ each other and rekindle some old beefs or start up new ones. When Mance was putting all this together maybe somebody should have played Devil’s Advocate and asked him “And then what?” Make him think things out a little more. People might have asked Mance the “what’s next” question, and I assume he might have just shrugged. Not being an ice zombie might be answer enough.